# DS 160 form remain unchanged, but due to new visa policies by trump administration, you might be asked for more information at a later stage such as your phone no.s used in past, information about your social media profiles etc. As far as fee is concerned, the fee can now be paid very easily either by visiting axis or citi banks or going for a NEFT internet banking transfer, its easy and fast. Last update : Kindly note that US visa application procedure has been changed by the US department of state. This is an copy of US Visa which demonstrates all the fields therein. For C1D aspirants: SO, for seafarers it is essential to note that now you have to do your entire application on http://www.ustraveldocs.com/in , rather than earlier one that was VFS. * Inform the company regarding your application and ask them for the IMO number and vessel name of the vessel you are to join (this needs to be filled up in the DS-160 form),ask for the US VISA APPLICATION to be duly signed and provided by company with a contract letter attached, they may provide application and contract letter at a later stage before your interview. by logging on to http://www.ustraveldocs.com/in ,and selecting the option of DS-160, you will be redirected to US department of state’s site where the form is available and is to be filled,properly and carefuly. please provide a proper digital photograph at the time of application,can be cropped to size by US department of state’s cropping tool provided on its site, you can also save the form after each step and finally after verifying all data put your digital signatures and submit the form,take a print out of the DS-160 confirmation page,can also take a print of application if you want, otherwise it is not required at time of interview since they have all data in digital format. *you will need to make a account/profile on the site http://www.ustraveldocs.com/in (mentioned above) by providing true data. *start the take appointment procedure,you will need to provide your visa type (c1/d in ur case ),state of residence (the state where you have been living for past 6 months, and should be matching to state on your passport (recommended, not required by law),place where you want to take your passport after visa is granted (these will be OFC’S (described later) or blue dart officec where you can get you visa (pick up). *take fee payment slip, by selecting option out of axis bank/citi bank payment or via Electronic Fund Transfer (EFT) or with their mobile phones. *pay the fees at nearest branch (all branches accept the fees), withing 4 hours it will get activated. *continue the procedure, and take your appointment form ustraveldocs.com/in. NOW YOU WILL BE NEEDED TO TAKE TWO SEPARATE APPOINTMENTS, ONE FOR INTERVIEW(at embassy/consulate) OTHER FOR OFC (offsite facilitation center), OFC’S have been made up to verify your documents (confirmation page/interview appointment letter/passport) and to take your biometric signatures (finger prints) and a photograph. APPEAR FOR INTERVIEW,IF GRANTED A VISA YOU WILL GET AN OPTION TO GIVE A COURIER ADDRESS AT A PAYMENT OF 500 RUPEES,WHERE YOU WANT YOUR VISA TO BE DELIVERED (at least in mumbai its so),THIS OPTION IS AVAILABLE AT THE TIME OF APPLICATION IN YOUR ONLINE PROFILE TOO,IF YOU DON’T WANT TO GIVE ANY COURIER ADDRESS YOU CAN PICK UP YOUR PASSPORT FREE OF COST FROM THE CENTRE WHICH YOU GAVE IN PASSPORT DELIVERY OPTION (OFC OR BLUE DART OFFICE NEAREST TO YOUR HOMETOWN). >>>Important information: Most of the time executives working in the shipping company offices pose as being an expert in visa matters and these people and lead you in a very bad situation, hence it is very important for you to be read everything very carefully by yourself, and having proper knowledge regarding the application procedure. Please make sure you never provide any false information in the visa application DS 160 form, if you have been rejected in past, honestly fill it up accordingly, it won’t affect your chances for obtaining a visa next time. Denials under this section are not permanent at all, you can apply after seven days of previous rejection. under this section visa is rejected due to your inability to prove that you have strong ties with your state of residence (India in your case), ties can be- a permanent residence in India (either on rent or owned by you/your family),your family,your bank balance,your education, and your job., this refers to the reasons for which you will come back to India after your said stay in US and will not become / try to become permanent resident/immigrant there. hence try to find out your ties with state of residence. well there may be some other reasons under this rejection since, this is a vast section, hence has the ability to accommodate lot of issues which might not be relevant to someone in common but since consular officer are highly skilled people and have special skills to decide what is right under the law they decide things over few minutes and you are in a tensed state that interview didn’t even last two minutes. * what are the changes in your circumstances from your last application? this time you have to be confident and say “sir this time i am ready to explain the ties i have with my state and can prove it in a better manner” if asked further provide the ties. 214(B) IS MOST COMMON REFUSAL. * first of all please don’t keep it in your mind that if you have been denied once then you won’t get a visa in future, its a complete myth i have seen personally many guys have got their visa issued after a rejection in past. * Experience factor- Well i have herd people talking about experience as a major factor in the denials, well this may be one of the factors but in a seafarer’s case this does not play a major role provided you have all the authentic documents and you know what you are going to do on board and basics of your seafaring. *Major problem lies with the Deck/Engine cadets, as they are young and normally in age group of 18-20 there is some more stringent rules for them since they don’t have much ties, or they didn’t get that much time to form such ties, in this case their knowledge matters a lot, they must be knowing exactly what is their role on board the ship, they should know what they are going to do in case of a fire or any major hazard. SO IF YOU HAVE PROVIDED AUTHENTIC DOCUMENTS AND HAVE THE PROPER KNOWLEDGE, WITH NO CRIMINAL BACKGROUND, THEN FOR SURE YOU ARE GOING TO MAKE IT THROUGH. Fellow mariners, US visas pending under section 221(G) Of US immigration and nationality act are liable to be pending for quite long period, as the consulate cannot predict how long this process will take as it varies based on the individual circumstances of each case.You can check your status report by entering your bar code number. If you were issued a yellow 221(g) handout, please submit requested documents and/or passports via GSS. To locate the VFS center it is located near most of metropolitan cities across India,If you were issued a white, blue or green handout, please follow the instructions in that letter carefully in order for consulate to continue processing your visa application. 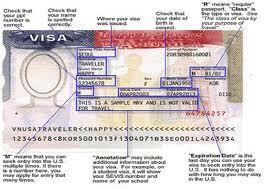 US visa is a really hectic problem faced by many seafarers these days,be optimistic regarding your visa application. This section involves a through inquiry in each case and based on the information gained by the experts it is decided whether the said person is eligible to be issued a US visa or not, Well in case of Seafarers C1D visa, this is not that extensive hence there are much more chances for you to get a visa issued. FOR BETTER PREPARATION FOR YOUR US VISA INTERVIEWS, VISIT MY NEW POST FREQUENTLY ASKED QUESTIONS IN US VISA IN INTERVIEWS. I am a seafarer. My last vessel was a lightering vessel. So I took parole stamp on my passport.But when I signed off and came back to India, I went for a renewal of my US visa but they rejected under 214(b). Now company have applied again and this time they are giving me one letter that I will not join lightering vessel. Will it be sufficient or I need some more documents??? Did you get your visa after this? Did you get the visa or not??? Any other seafarer facing same issue?? you can get your visa done without sir name. 1- why u r going us? Ans- i m frm th field of merchnt navy . I m going for my job purpose. 2- wat does ur father do? Ans- my father is no more sir…he passed away 10 yrs ago. 3- wat is ur mthr do? 4-frm whre hv u done this course? Ans- i hv dne my pre sea training frm gt. Noida. Please recheck the form that you had filled for interview application, most probably there was something wrong with your application. NOW YOUR VISA IS APPROVED??? Will depend on under which section it has got denied, if it is under section 214(b), then you can apply anytime but better to apply when there is a change in the present circumstances under which your visa got denied. Please describe under which section your visa got denied. My name is Anu Thakur . I had applied for C1D visa twice ,the first time I applied the visa in the month of November 2016 got rejected coz I was not carrying enough documents but the second time in the month of Feb 2017 and was carrying all the documents but they rejected my visa without asking any questions. Was that due to my previous record of my interview they had if yes then how can I change that and if not then how can get my visa without any rejection if I reapply now. As I still have my job on the cruise ship. Ms. Anu, you can send me an email sharing your full details at abhishektwr094@gmail.com , meanwhile I would like to know, under which section your visa got denied, if it was due to insufficient documents and you did carry sufficient documents next time, did they ask you to get experience or anything as such for the purpose of obtaining a visa? You must reapply only after proper preparation, go through your filled up DS 160 form, try to locate any error or mistake you did while filling up the form, US counselor officers are highly trained people, they can very easily find faults,hence my suggestion to you would be to give it proper time and reapply after you have clarified everything. I have been in the Merchant Marine for over 18 yrs and quit as a Captain. I have applied for C1D, B1B2 as well as F1 student visas in Mumbai many times. Now living in the US. The US immigration officers have a job to do. They have to eliminate potential individuals who want to stay back in the US. They are all very very patriotic and knowledgeable. If they dont do their job well then they wont go to sleep well. They will reject anyone who cannot give a good reasonable answer to their questions. The answer has to be definite and precise. For eg if you are asked why you are going to the US…the reply cannot be “I work/going to work in the Merchant Navy and I am going for my job purpose”. The reply should be I work in the Merchant Marine/Navy, I am required to join a ship in the US or my ship visits US a lot and here is a letter from the company and the US requires all individuals on ships visiting the US to have a C1D visa prior to arriving port and this can be done only here at the embassy. Vague answers will get your application rejected. You also have to train your mind that your sole purpose to visit the US is not staying back but to be able to do your job on board the ship, and that you have commitments to your profession, your life and family back in your country. this Visa as per my Company requirement . I already put it in drop box , but the Visa is cancelled without prejudiced. Then they ask me to meet a Consular then also my Visa got cancelled. me I worked in many companies and I visited U.S so many times. rejected my Visa . They put me in clause 214(b) . show them so that my Visa get renewal. Mr.Bunty my recommendation to you would be to give it a bit of time, and gather more documents for your self defense, once you are confident ,you should apply again. Hello sir im having my interview for c1d us visa my problem is that my filling up the form that the compony gave me i did not write anything in the us relative information i didnt even check the yes or no question as in i leave it all blank i do have a distant relative in the us but i plan to not decleare them is that ok not to decleare them? As i dont write anyting is the form ? Hello sir im having my interview for c1d us visa my problem is that i declared that a have family (cousins) in U.S. Is that be ok sir? Excuse me sir/madam what is the procedure if my c1d visa is denied. Should I have to pay for it again and schedule the appointment? Yes, everytime your visa gets denied, you have to make a fresh application, along with visa fee. If you have any queries ,you are welcome to put them here. Sir, my C1D visa case was created on 26 Mar 18. I was issued with 221g green slip. Before this I was granted us visa 3 times. Even after 40 days I am not able to get my pp/visa. Still under AP, Mumbai. What should I do ? My suggestion to you would be to take the interview in your mother tongue or the language you are most comfortable with. Be fair and straight, you will get it. All the best! 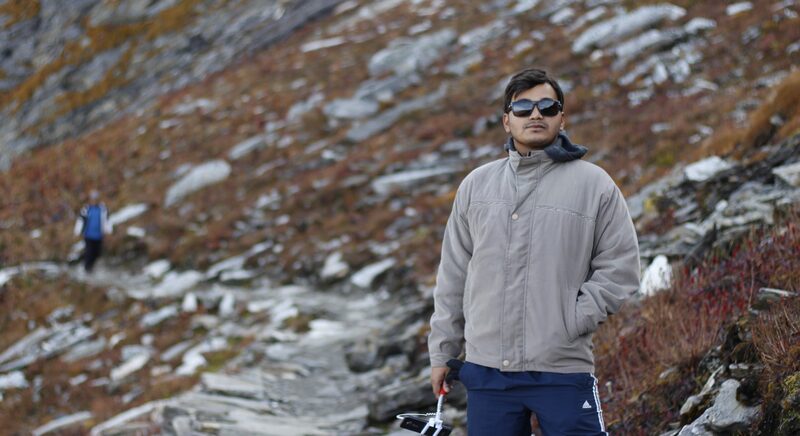 Im Manoj kumar and i went to atten c1/d visa interview today . But the us counslar asking me some questions . 1)you applied for c1/d visa show me your employment letter and cdc? Ans:i show my letter of employmentand for cdc i told to the counslar,sir i do not have a cdc with me bcz im going to work in hospitality service especially in cruise line .so,cdc its not required for me, for that i have a refrrence letter for that . 2)Did u visit any country in the past? Ans: yes sir i went srilanka last year at the month of march for my grandma’s funeral. 3)how much u getting here and from the carnival? Ans:sir in india im getting11000 rupees per month. And the carnival cruise line offering for me 725 us dollars per month. 4)what is your position in carnival cruise line? Ans: im selected as a trainee cook from carnival ecstasy cruise ship and my salary is 725 us dollars per month. But i dont no why the us counslar wll reject me . Sir plz told me what are the things im getting to improve my self . And also how months i have to be wait for reissue my c1/d visa. Sir plz sir while u reading , after this send me the answer plz. Mr. Manoj please don’t get disheartened, there are lot of reasons why a consular will reject a Visa, you have to be fair with your answers and have to answer them all straight to the point. Your answers seem unreasonable, please recheck your application form for any errors you might have made. And before next application you must give sufficient time to prepare yourself, and increase the chances of being granted a US Visa. Mr. Sandeep having a CDC is important since it is your identification document as a seafarer, well it is on consular officer’s discretion, but you should wait Untill you have original CDC prior appearing for the interview. Hope it helps! Dear Moses, US Visa is not issued up on basis of a particular company, you are very much free to switch companies. Yes you can travel on your previous US visa which is still valid. You cannot travel to USA without having a purpose to solely join a vessel, and you must have evidence in form of company letter that you will leave US just after you board the vessel, you cannot travel to US with C1D visa for any other purpose. I have few questions I’d like clarity on. I live outside my home country for 7 years now and recently got a job with a cruise lines, can I apply my c1d visa here in foreign soil or should necessarily go back home to apply? I live here with a work permit obtained by home affairs here, is that enough to be granted a US visa? Your reply is highly needed pleeeeeease Sir! Dear Landry, You are free to apply US Visa in any country where you have U.S. Embassy or Consulate, provided you are living legally in that country. Relax this interview would be a normal interview, you just need to answer whatever you know confidently. For better preparation read my frequently asked questions. Good luck! my neme is jaspreet singh and rank is deck cadet and i have 10 month experience in mahavir shipping . know i am selected in drs shipping and i applied c1d visa two times but not approved by embassy. i dont know region behind this. may be my age or so on . i am very upset. so please sir suggest me what i can do to get this visa. I have a valid c1 d visa. It was renwed in 2015 by dropbox. Now it expires in 2020. I would like to club b1 b2 visa along with c1 d visa. 1. What is the procedure for the same? 2. Do i have to give the interview again or do i get it clubbed without a interview ( possble by dropbox)? Yes you need to appear for an interview if you change the type of visa, but in case of a tourist visa that you are applying for, might be approved by Dropbox. Thank you! pls sir my c1d visa approved ,i have to add document to the visa and travel or? hi sir ,can i travel with c1d visa issue march 2018 ,i was not able to join the vessel because the vessel i aquired the visa was under maintanace so the company has change the vessel for me,please can i travel with the same visa? Yes definitely, if you have a valid US Visa ,you are free to join any vessel, and you can even change the company. How to renewwal C1/D visa.I applied twice was rejected sec 214(b) Stamp on visa page without prejudice.working in popular cruise line,how can i find exact reason for visa refusal. my b1/b2 is revoked and i am barred from entering usa for 5 years. now i am a crew member if i apply for c1/d visa is there a possibility that i can be approve? If you are barred from entering USA for 5 years, you can’t be approved to hold a C1D. Hi, I gave my passport for renewal of my C1/D visa at New Delhi Location on 07/01/2019 along with CDC. My visa was valid till Nov 2019. Case updated on 09/01/2019. Visa is still showing administrative process. I gave my company letter and other documents required as per interview waiver program. No emails regarding additional documents have been sent to me. Till when can I expect my Visa. I find no online review regarding such case of C1/D visa. My last travel in us via ship was in Aug 2018.
my c1d visa got denied recently because I had an application last june 2018 which was a tourist visa thus, might affect my rejection when I get the c1d visa. My ship company suggested if I want to reapply again they will give me vessel assignment and a contract. Will it have a higher chance to get my c1d visa approved if I reapply again? thanks.